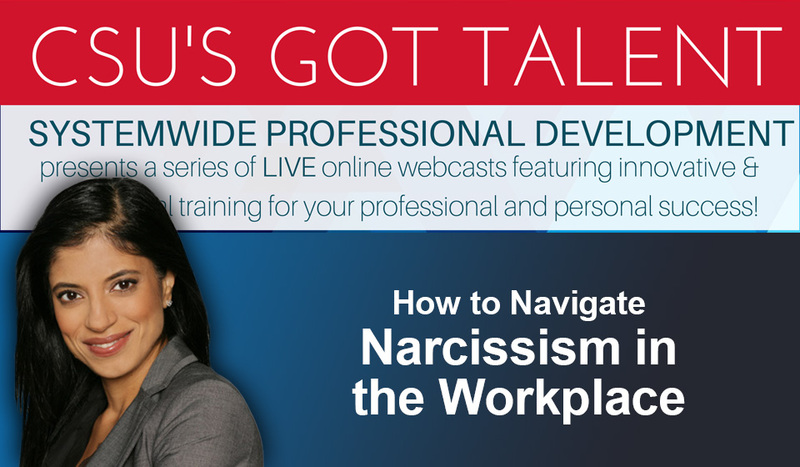 Learn signs & characteristics of narcissism, and ways you can survive and thrive at work and beyond. Please login as a “guest” and then type in your CAMPUS/Your Full Name (i.e CSULB/Steven Spielberg). Listen to the audio via your computer speakers. Also available: join from your mobile device by downloading the Adobe Connect app!